Source: New York State Archives. New York (State). Supreme Court of Judicature (Albany). 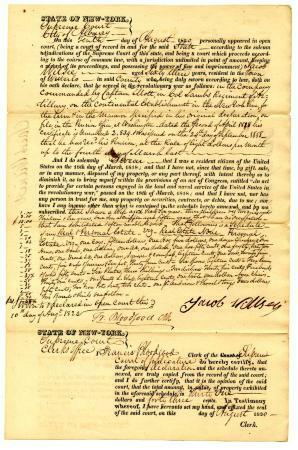 Affidavits of war service and property by Revolutionary War veterans. J6011-82.